Karaoke Darwin Nightlife FUN! FUN! FUN! Cool, sophisticated, trendy karaoke Darwin style? Singing and a refreshing nice cold drink – the perfect way of combating the Northern Territory long, hot days and evenings. Fortunately there are plenty of great late night Darwin entertainment venues that offer both! Tropical, balmy Darwin karaoke is soooo multi-dimensional. It’s your choice— Kick back and chill or party hard! Tantalize your taste buds with a tasty meal or a share plate but be sure to SING! The atmosphere at local Darwin pubs and hotels is astounding with plenty of Let’s Get Loud opportunity with a good mix of locals and tourists enjoying the vibe. Prefer a little mellow-yellow Sunday arvo karaoke where there’s absolutely no need to rush to anywhere in particular? Except up on to the stage to sing another karaoke tune! It's lots of FUN! FUN! FUN! Many a Darwin nightlife venue has an Asian feel, understandable given the region’s close proximity to our Asian neighbours. 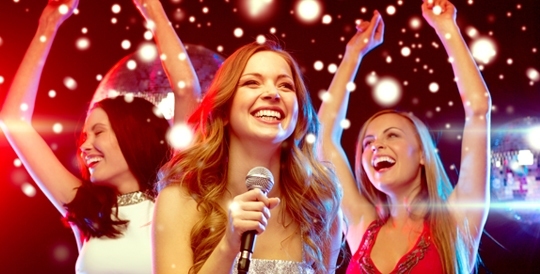 Karaoke Darwin— what a super fun thing to do! Shennanigans Irish Bar & Restaurant and Humpty Doo Tavern are popular pubs providing great food and drinks as well as karaoke nights and other regular entertainment! Darwin Karaoke is a sure fire fun way to chill out on a hot evening. Don’t forget to also check out Humpty Doo Tavern, Dolly’s Bar and the Palmerston Sports Club! Whatever your ideal karaoke experience is; there are plenty of awesome Darwin pubs and bars with private karaoke rooms. Darwin is the real-deal! The essential Australian experience! But do watch out for crocs!